Brinks Home Security™ understands that moments matter. We want to ensure that the moments you spend with our company through our products, services and support teams are positive ones – allowing you to spend more time with the people and things that you care about the most. After all, helping to protect the things most important to you is why you’ve come to us. Your safety is important to us, but so is your satisfaction. We know that some in the home security industry have not operated with the same level of transparency that other services you use each day do. We have been and intend to continue to be transparent to our customers. We value you as a customer and believe that contracts work both ways. We think it is important to know exactly what you can expect from us. That’s why we’ve created our Customer Bill of Rights. You have the right to value every second. You’ve chosen a home security solution to meet your unique needs. We also think that it should meet your unique schedule. Whether it’s having an alarm incident handled as quickly as possible, or knowing that you won’t spend hours on hold with customer service, speed matters. You have the right to choose how you spend every second of your own time. We’re grateful for those seconds that you spend with us. You have the right to local service. Whether it’s a question about your bill or installation of a new feature, it helps to have people who can help in your own backyard. The Brinks Home Security customer support team is based in the U.S., available to take your calls. Service appointments are handled by our local dealer network of more than 600 small businesses across North America. You have the right to move. Freely. Across the country or across the street. You have many things on your mind as you prepare for a new home. Your home security system shouldn’t be one of them. 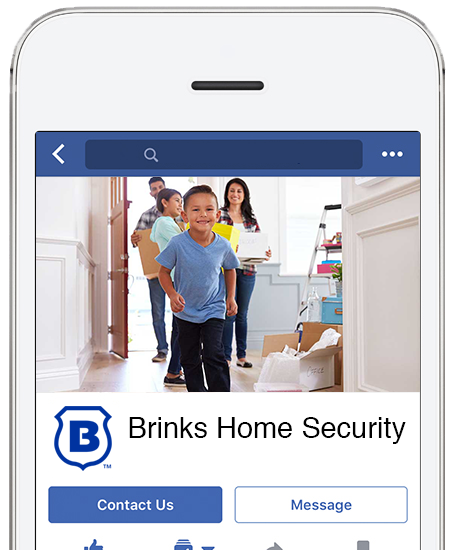 After one year with Brinks Home Security, customers can shift their current service to a new home address. Active military? Speak with one of our Security Advisors if your military service requires more frequent moves. We love having you as a customer, but you should stay with us because you want to, not because you have to. That's why you can try our service risk-free for 30 days and cancel at any time during that period with no termination fee. After that, should the time come when you decide that a home security solution is not right for you, we don't think it should be a complicated process. Simply call us at 800.447.9239 and we’ll send you the easy DocuSign cancellation procedures, which includes an explanation of our cancellation process and what to expect on your final bill. Early termination charges may apply. You have the right to have all issues addressed within one business day. We know your time is valuable, and you don’t want to spend all day on the phone. Tell us what your issue is and we’ll dedicate ourselves to finding a solution – fast. You have the right to be heard. We love happy customers, but we also value feedback from those who have experienced an issue. You have things to say and we want to hear from you. Our Security Advisors and service technicians thrive on your feedback. If there’s something we can do differently, we want to hear from you. Tell us what we can do to make things right by texting us at 469.513.8685 or sending us a message at https://www.brinkshome.com/facebook . Your feedback is what has transformed our company’s approach to customer service. We appreciate you making us a better company. You have the right to understand your contract. Home security services shouldn’t be a mystery. Contracts, as our commitment to each other, should be easy to understand. That’s why we’ve made sure that all of our policies are easily referenceable. While others in the industry have legal contract disclaimers hidden away on their sites, ours are in plain English and in plain view. We believe that you should understand our commitment. Most importantly, we know that you have the right to choose. When it comes to products and services for your home, we know that you have many choices. We’re glad that you’ve chosen Brinks Home Security.